Changing your thinking will make a bigger difference in your career management than any other single thing. Tom Peters is a well recognized management guru who has consulted with companies and individuals all over the world, teaching them how to be more effective and how to attain excellence. 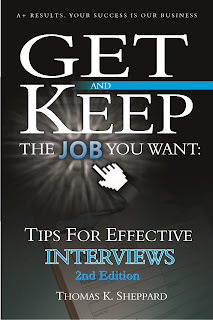 In 1992 Tom wrote an article about the importance of you, keeping your resume in mind in all that you do. I will cite a couple of pieces of it here, but I want you to be able to see the whole article as well, so here is the link: Think Resume or You're Not Thinking. "You're a very endangered species, at least if you think like most of your counterparts." This is one of the first things Tom says. Notice that he warns that you are endangered by your thinking. In my ebook. 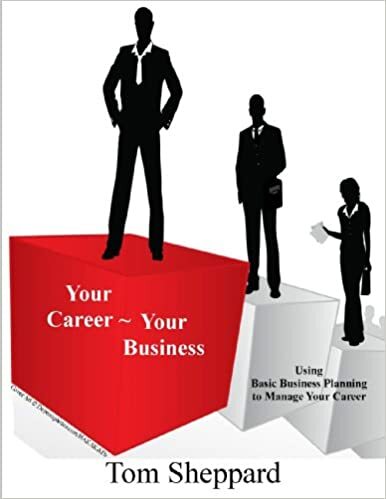 "Your Career - Your Business: Using Small Business Tactics to Successfully Manage Your Career", I expand on this idea and teach you how to apply principles from successful small businesses to your career management so that you can survive and thrive in this chaotic job market. Or, to use Tom Peters' words an focus on immediate benefits, thinking this way will "...substantially reduce the odds of that [layoff] coming by making you a more valued employee now. " "We're almost all "consultants" in one guise or another." Consider the fact that a consultant is another kind of employee your company probably hires all the time. Why do they hire consultants while laying off regular employees? Because the consultant can authoritatively say, "I do thus and such, for $100 an hour. This project will take 300 hours. Check my references. Have we got a deal?" and their resume backs up their story. Can you tell your employer (your boss), or any prospective employer exactly what you do and show them the value of the results you have delivered? If not, then you are an endangered species. "[A] consultant, [can] (1) enumerate a handful of specific projects; (2) describe in detail the benefits she'd delivered to clients; and (3) offer an impressive list of "witnesses" (clients) who'd attest to it all. She could also (4) explain what she'd learned during the year and how, therefore, she'd (5) be a more valuable ("marketable") member of the firm next year. She could, in effect, provide an updated 1992 "resume" better than her 1991 version. Could you?" One of the differences between the resumes I create and most others is that I understand the key idea behind this concept. I know that when a manager is considering keeping an employee around, giving them a pay raise, or hiring a new employee, they get warm, fuzzy feelings about people who can show them cold, hard numbers and facts. Most resumes focus on "Responsibilities." The problem with focusing on responsibilities is that this only describes what you are supposed to do. It does not tell anyone what you actually accomplished, and how much it was worth to your employer. If you will allow me to borrow a lesson from my experience as an Enterprise Project Manager for a Fortune 500 company. 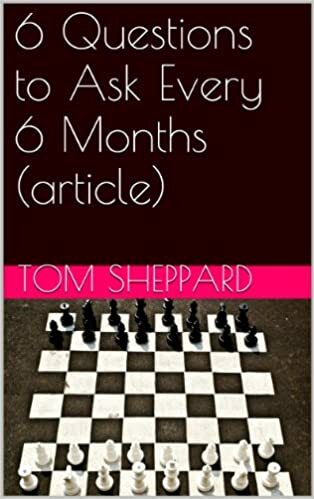 When I gave a task to someone, I often asked, "When will you have that done?" They would often respond with, "I should have it done by Wednesday." I learned from experience that when they "should" have it done and when they actually got it done were two very different things. Based on that unpleasant experience, I learned to respond to the "should" response with this, "I know you SHOULD have it done by then, but when WILL you have it done?" Most of the time, when people made the commitment based on "will" instead of "should" they met the deadline for their commitment. The difference between "should" and "will" is the same as the difference between "responsibilities" and "accomplishments" in your career and in your resume. It's (NOT) All About Me!